Structure of Workshop on 5S provided by Breval Consulting Services. The program is scientifically designed for cultivating awareness up to grass root level. The Workshop is full of examples, class room activity & field activity for accelerated learning experience. Any set-up of manufacturing, repair, servicing, with small to large work space, with a zeal to improve should partner. Engineers, Managers, or any other person looking for efficiency improvement in office should also contact us. The workshop is customized as per Client requirement. The duration & contents are designed as per training need of the client. 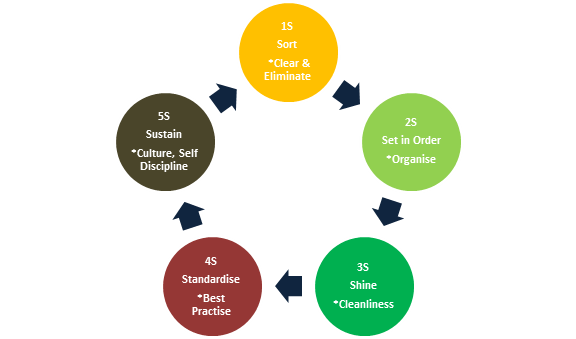 We provide affordable & effective training, which helps people for real implementation of 5S.